In Stroud, housing officer Joe faces one of the biggest challenges of his career as he is forced to carry out five evictions in just one day. In Wiltshire, Matt meets a worried mother facing an uncertain future who fears her son may become homeless without her. And in Essex, housing officers struggle to control a tenant's hoarding habit that may be putting his fellow residents in danger. Consumer programme. 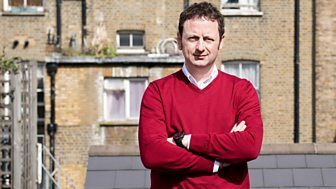 Matt Allwright joins the ranks of Britain's housing officers. Matt tries to inspect a house so dirty the police called the Housing Enforcers.